Fluent course В1 (or intermediate) is worked out for students who have completed successfully “Pre-Intermediate” level. Students of this level are recommended to read abridged literature, listen to the audio stories, watch video films with subtitles and attend speaking clubs. You can complete the course B1 for 80 academic hours. One can discern the main point of utterance in the context of usual topics, situations that turn up at work, home and during a vacation. One can understand key moments on TV programmes, radio broadcasts concerning everyday life, professional or personal life on the condition that the communication flow is slow and distinct. One can understand texts that consist of frequently-used words or connected with professional activities. One can understand the description of feelings and desires in personal correspondence. 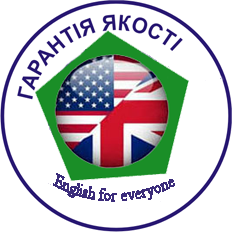 One can cope with a majority of situations that turn up during a journey in English-speaking countries or places where there are people who speak English. Without preliminary preparation one can start socializing on familiar topics, namely: family, hobbies, travelling and news. One can utter simple sentences to talk about their experience, events, hopes and aspirations. One can give grounds to their point of view, talk about their plans, explain a situation. One can talk about past events, or retell the content of a story and express their attitude to events. One can write a simple and coherent text on interesting and familiar topics. One can write a letter describing their experience and impressions.